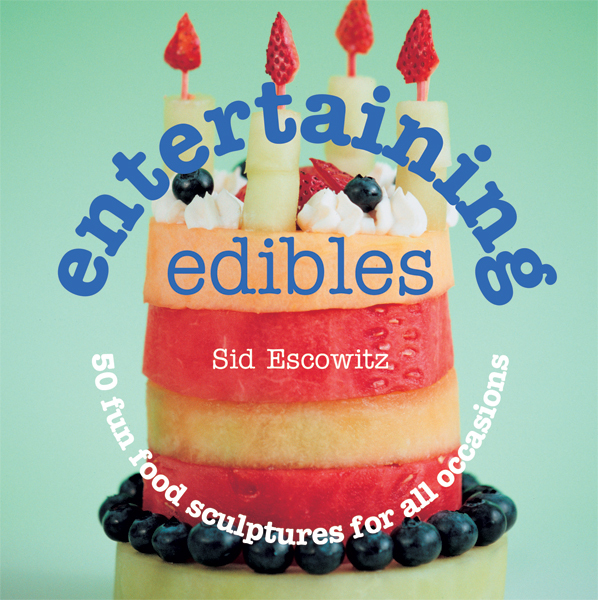 In this imaginative collection, author Sidney Escowitz has created fifty unique food sculptures that you and your loved ones will find irresistible. Entertaining Edibles is sure to inspire you to commemorate special occasions in a way that is truly extraordinary. Preparing for the festivities of the holiday season? You'll find creative projects for Christmas, Kwanzaa and Hanukkah. For sports fanatics, characters like the golfer, fisherman and tennis player are sure to please. Animal lovers will appreciate our zoo-friendly offerings, from the pint-sized penguin to the low-key alligator. Escowitz has also included an introductory guide to tools and fruits, as well as personal tips to assist you on your creative journey.